WASHINGTON (CN) – President Donald Trump’s nominee to the Fourth Circuit defended herself on Wednesday from questions about her relatively limited legal experience, saying her time practicing before appeals courts qualifies her for a seat on the federal bench. Allison Jones Rushing graduated from Duke University School of Law in 2007 and went on to clerk for a trio of conservative judges – then-10th Circuit Judge Neil Gorsuch, D.C. Circuit Judge David Sentelle and Supreme Court Justice Clarence Thomas. 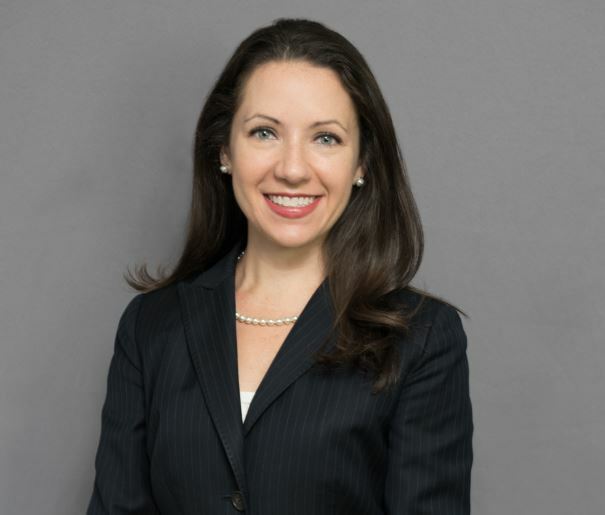 She is now a partner at the Washington D.C., firm Williams & Connolly, having joined the firm as an associate in 2011. She also had a short stint at the firm before her clerkship with Thomas. While the American Bar Association Standing Committee on the Federal Judiciary’s guidelines state candidates for judgeships typically should have 12 years of experience practicing law, Rushing received a qualified rating from the organization. Senator John Kennedy, R-La., pointedly asked Rushing why she deserves a seat on a federal appeals court when there are other qualified attorneys with more experience. In defending her experience level, Rushing told the committee she has filed roughly 47 briefs to the Supreme Court and has practiced before several federal appeals courts, giving her the most relevant possible experience for the job she currently seeks. Kennedy and Senator Orrin Hatch, R-Utah, were the only two senators to ask Rushing questions on Wednesday, as the Judiciary Committee held the hearing while many senators are home on recess. Democrats earlier in the week wrote to Senate Judiciary Committee chair Senator Chuck Grassley, R-Iowa, asking him to delay the hearing, saying the committee should not hold nomination hearings when many senators will be unable to attend. But Grassley pointed out he had already twice delayed the hearing, which was originally scheduled for the end of September, and that Senator Dianne Feinstein, the top Democrat on the committee, consented to holding nomination hearings in October even though she knew the Senate might go on recess during that time. The committee also heard from five nominees to federal district courts, all of whom faced more limited questions from the senators. Four of the nominees are up for spots on federal courts in Florida, including U.S. District Court for the Middle District of Florida nominees Judge Thomas Barber and Judge Wendy Berger, U.S. District Court for the Southern District of Florida nominee Judge Rodney Smith and U.S. District Court for the Northern District of Florida nominee Judge Kent Wetherell. U.S. District Court for the Northern District of Alabama nominee Corey Maze also appeared before the committee Wednesday.